DotdashThe Spruce is a home site born out of About. About.com was trending toward a bad ending, so parent company IAC decided on a total reboot. Since relaunching as six distinct new sites, the publisher, now known as Dotdash, has seen revenue jump 40% in the fourth quarter, with ad revenue expected to net out at $US20 million. 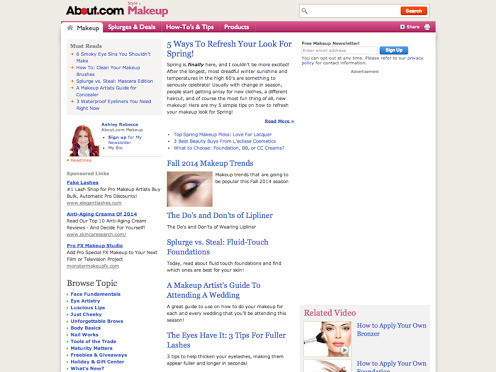 That’s following a decision to drastically reduce how many ads the sites carry. As the digital publishing industry drags itself to the end of 2017 amid stories of revenue shortfalls, layoffs, and talk of a “correction“or a “crisis,” here’s an unexpected bright spot: The nearly 20-year-old brand About.com has come back from the dead. The IAC-owned publisher says its ad revenue will net out at over $US20 million in the fourth quarter, up 40% year over year. The publisher, which changed its name to Dotdash in May, added 18 million new users since March, up 37% over that time, netting out at 67 million visitors in October, according to comScore. The growth came after the company deliberately tore down its old site, gutting much of its musty, early 2000s content, replacing it over the past two years with five entirely new brands. And to top it off, Dotdash elected to run 35% fewer ads on its pages than in the past. It all makes for an unexpected comeback story in a medium not known for second chances. Still, what exactly was the company thinking? CEO Neil Vogel told Business Insider that when he recommended to management a full About.com teardown a few years ago – including to chairman Barry Diller – he warned them of the risks. And he also told them that it was possible that About.com could end up going under if they didn’t do something drastic. The site was something of a circa 2000 relic. It featured service content designed to get picked up in Google searches along the lines of “how long to grill steak” or “should I open an IRA” for just about every topic under the sun. Over time, the content became sprawling, and musty and the design dated. So the teardown was needed. Over the past two years, the About team took the site’s content from roughly a million or so articles to a few hundred thousand. Verywell, a health-focused content site launched in April 2016. It reached 16 million unique users in October 2017. The Balance, a personal finance and investing brand, was introduced in August 2016. Lifewire, a personal tech brand rolled out in October 2016. 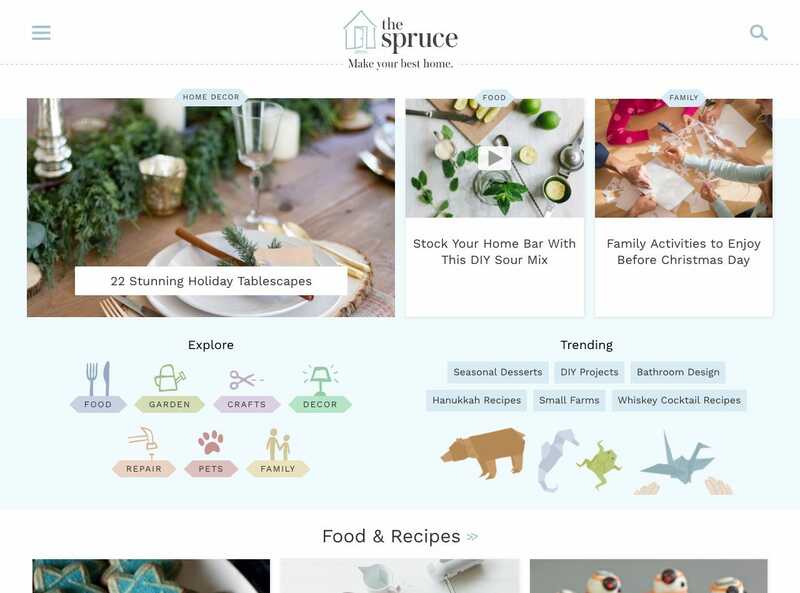 The Spruce, focused on food and home, hit this past February. ThoughtCo, an education and reference site, landed in March. And the travel brand TripSavvy was unveiled in May. Vogel said these reborn sites had to look modern, resonate on mobile, and be filled with fresh content. Search is still key for people to find their way to Dotdash properties, but the plan is to create sites people recognise and seek out over time. But why cut ads so dramatically? Wasn’t that basically a decision to make less in ad revenue? Vogel says that given how messy and oversaturated with ads much of the web looks these days, going on an ad diet helped the new sites gain traction with users, and make the remaining ads pop more. It also helps the sites get picked up in search results. Over time, that should mean higher prices for the scarcer ads. “Now Google likes us better and advertisers like us better,” he said. The next step in revenue growth is likely to be integrating more commerce options on the sites – a trend many digital publishers are following. Going forward, Dotdash may roll out more new sites. But Vogel said he wants to be cautious.